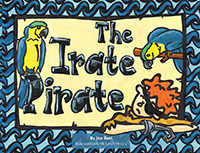 James Edward Best’s “The Irate Pirate.” Petie is a young pirate-in-training until one day, he begins to doubt that he is cut out for this life. After making a list of pros and cons, Petie realizes his moral dilemma: he cannot steal from others, yet that is exactly what his destiny tells him he must do. Take note from self-publishing Outskirts Press author, David D. Bernstein, who is taking his latest book, Peanut, on tour — a virtual book tour, that is. He will be featured on several blogs over the weeks and months ahead so keep your eyes peeled to learn more about him and his book. Luckily for us, David was kind enough to answer a few questions as the tour was getting started so that we can give you a sneak peek into the mind of the creator of Peanut. OP: Tell us a little bit about Peanut. What is it about? David: My book looks at three major topics. How divorce affects a young girl named Wendy. What happens when an obsession becomes a part of Wendy’s life and finally how a homeless dog named Peanut helps Wendy overcome her problems and changes her life forever? David: I wrote this book for three reasons: most important reason was to honor our family dog named Tamber who died on October 22, 2017 she was in our lives for almost 16 years. This was very important for me to do this in her memory. The second reason I wrote this book was to help out children and families who have gone through divorce. 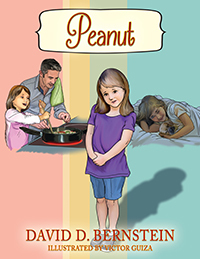 It is a topic that is not fully explored or understood in the children book industry so “Peanut” had to be written to fill that gap. The third reason I wrote the book was to get more pets adopted by loving families. There are so many pets that need a new home. I will be trying to work with nonprofit organizations to get the word out to the world. David: I went on the self-publishing route for this book, I chose Outskirts Press to help me on this project. It is my third book that I have published with them. They are very professional and helpful guides on this journey. David: I believe the book can interest many people of all ages. This can include dog lovers, children, families that went through divorce. It also can be a great addition to professional offices that work closely with divorce and obsession. Overall this book can be read by many groups of people. David: I think this book is special because it was written from my heart and that is very rarely done these days, where most publishing companies care more about profit then quality. This is a very sad reality that authors have to face these days. David: My book is different because it has more than one category it covers. It is not only a great picture book, but it also is a self-help book and much more. David: Yes, I have three other books: a book of poetry from my high school to college years, a folk tale about how a boy goes into a fantasy world to cope with the death of his mom from cancer, it is called The Enchanted Rope. This book is about to be turned into a modern ballet done by children. 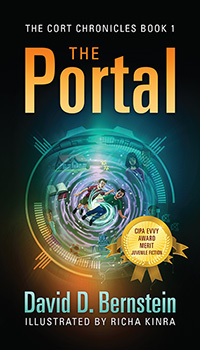 My third book is called The Portal and it is a middle grade book about two boys who have to travel 101 years into the future to help alter the present. It is the first book in a trilogy. David: I still have plans to publish my next two books in my trilogy and some more picture books in the near future. OP: Thanks for your time, David! We look forward to learning more about you as you visit other bloggers! 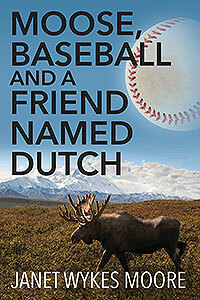 Janet Wykes Moore’s “Moose, Baseball And A Friend Named Dutch.” Ten-year-old Joe Baker is moving from Minnesota to Alaska and he is leaving behind his baseball team. Joe is excited when seeing his first moose, a cow and her newborn calf and begins keeping a moose journal and photograph record. But, Joe is torn about what to do about baseball. Should he accept his new life and new baseball team in Alaska or should he go back and play with his old team? His new friend, Dutch, begs him to stay. What should he do? Take note from self-publishing Outskirts Press author, David D. Bernstein, who is taking his latest book, The Portal, on tour – a virtual book tour, that is. He will be featured on several blogs over the weeks and months ahead so keep your eyes peeled to learn more about him and his book. 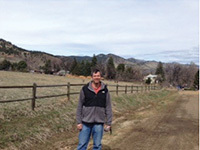 Luckily for us, David was kind enough to answer a few questions as the tour was getting started so that we can give you a sneak peek into the mind of the creator of The Portal: The Cort Chronicles Book 1. OP: Tell us a little bit about The Portal: The Cort Chronicles Book 1. What is it about? David: The book is about two brothers named Zack and Andy who are transported to a ghostly version of their hometown 101 years in the future. They find out that it is now controlled by CORT Robots. They have made people slaves. This version of the hometown is a possible future of earth. The brothers must journey through a nightmare world that only they can change. But how can two young boys alter the present by saving the future. David: I decided to write this book because I strongly believe that our world today is full of technology, hate and is really hard for children to live in. I believe that this book can give our children a chance to escape everything and just enjoy an adventure. Imagination and storytelling play very critical roles in a child’s life and development. I believe this book could change their lives for the better. It gives them a chance to journey with these two boys as they save the world. I hope that children can immerse themselves in this wonderful world I created. David: The book itself took me eight years to write and edit. It also was sent to few Traditional publishers before I self-Published. After receiving some rejection letters, I decided to self-publish this work of literature; I decided to go with a company I was familiar with. I had self-published another book with Outskirts press before and had a great experience with the team. The process was very professional, fun and easy to do. David: I think what makes this book unique is how it matches with our current times. Today people are waking up from a long sleep, and they are letting their voices be heard. We also have a world where technology has turned addictive. People of all ages are very dependent on it. The Portal explores the possibility of what if Robots or a massive corporation takes over our world. What would each person do? Would they join a resistance? Would they join the Corporation? Would they just be part of the crowd? I think this is what makes my book special. It kind of is a warning to individuals of possible future. David: I believe that one of the biggest differences of my book is how it is very visual, action packed and it combines three Genres in one: Science Fiction, Fantasy and Adventure. 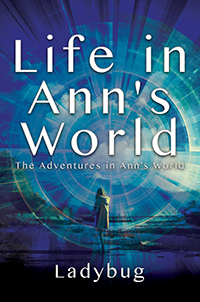 Another difference is it mostly revolves around children and explores a possible world we might become in the future. It takes readers on a journey that they will never forget. David: Yes, I have my first book was a collection of poetry I wrote over the course of about 15 years. My second book was called The Enchanted Rope it was a picture book that helps both children and adults deal with a death of a loved one, my third book is named The Portal and my newest book is called Peanut. It is a picture book that should be coming out in Spring 2018. It helps families and children deal with divorce. David: In the near future I have plans to publish my other two books in my trilogy. Spirral which should be out by spring 2019 and Rebirth which should be out by spring 2020. David D. Bernstein is a tennis instructor and energy healer who has worked with children for many years. He’s the author of a book of poetry and The Enchanted Rope, a children’s picture book. 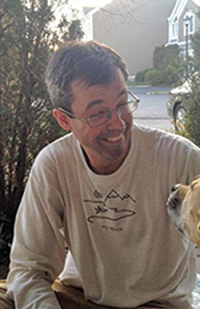 He has also had poems published in magazines and anthologies and is the recipient of five Editor’s Choice awards. The Portal is his debut novel. 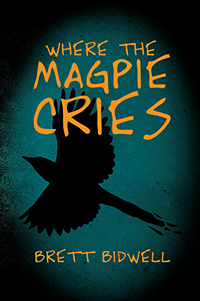 Brett Bidwell’s “Where the Magpie Cries.” Eighteen-year-old Bree Mier is trying to escape her past, but can’t seem to outrun it. She walks back to her little, unknown town in Colorado with haunting memories of what happened there–but when she is forced to share her story she has no choice but to relive her past. Delilah Jackson Hall’s “Mrs. 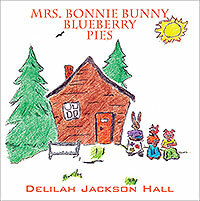 Bonnie Bunny Blueberry Pies.” Mrs. Bonnie Bunny is famous for her award-winning blueberry pies. When a warm blueberry pie vanishes from the window sill, secrets are revealed and the truth emerges in the most unlikely of places. Powerful life-lessons are learned. Illustrated by Daniel Espinoza.